8. If the vehicle is equipped with a navigation system: enter the address. 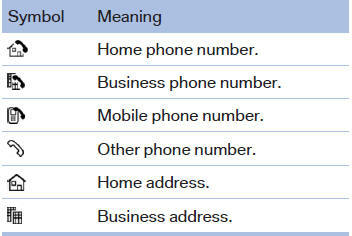 Only addresses contained in the navigation data in the vehicle can be entered. This ensures that destination guidance is possible for all addresses. 5. "Store contact in vehicle"